We offer a great selection of informative and teaching DVDs and videos on popular topics like knife making, sword making, and even sword fighting. Our medieval DVDs and videos are very informative in teaching a person hand to hand combat and sword skills. These medieval sword DVDs and videos also make a great gifts for anyone who wants to learn about medieval life and history. What is the Cold Steel Challenge? It is a celebration of the warrior lifestyle. The Cold Steel Challenge DVD is a recording of the Cold Steel Challenges from 2004 to 2007 with introductions by Cold Steel President, Lynn C. Thompson. 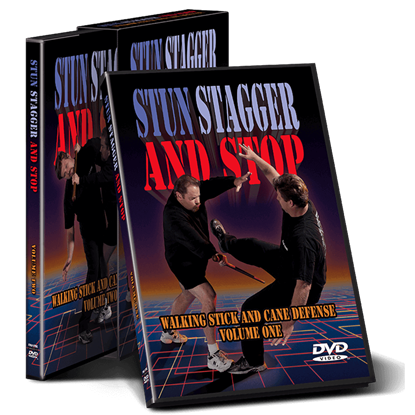 This DVD set is designed as a serious, straightforward, and focused course that deals solely with the combative use of the saber and cutlass. Share in this unique hunting experience of Handgun Hunting Down Under as Lynn Thompson takes on huge Asian buffalo and wild boar of Australia with his trusty Ruger .44 Magnum RedHawk and Super RedHawk revolvers. Ron Balicki did set teaches Jun Fan Jeet Kune Do. The did set has approx. 8 hours of techniques ranging from beginner to instructor. 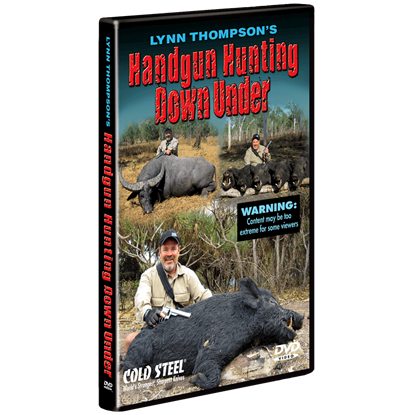 Come on the hunting adventure of a lifetime with world-renowned hunter, martial artist, and Cold Steel president Lynn Thompson as he travels throughout the rugged outback of Australia in the Lynn Thompsons Death Down Under DVD. The Never Unarmed DVD set is a very broad look at an enormously wide subject. The firearms and ammunition you need to own or acquire for recreation, hunting, survival, and self-defense. 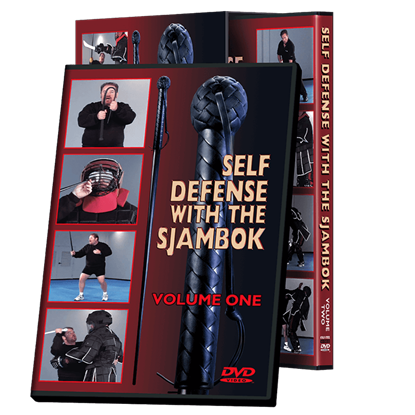 In this DVD series you will learn the traditional Filipino boxing method using empty hands. Developed during the heyday of bare-knuckle boxing, it has surprised and confounded the traditional western boxer for more than a century. In addition to its use as a cattle prod, whip, and a means of self protection, the African Sjambok is also known as a formidable snake killer. This DVD will give you the necessary skill and confidence necessary to overcome muggers, gang members, and other street lowlifes determined to attack you or members of your family. Machetes are some of the most common tools in the world. They are used on ranches, farms, and orchards. Wherever thick brush or dense jungle abound, their long wide blades get the job done. But the machete is more than just a tool. Ron Balicki will take you through a comprehensive look at the Indonesian and Filipino art of The Fighting Sarong. Ron has trained in Sarong fighting for over 20 years and is sharing his vast knowledge with you today. The Tomahawk is a uniquely American invention. It can double as either a highly useful tool or as a ferocious piece of weaponry. It is, in fact, these two attributes that have endeared the Tomahawk to generations of countless Americans.